Morocco whitewater rafting trips offer an incredible traveling experience. In addition to exceptional whitewater and beautiful scenery in remote river canyons, adventurers in Morocco get the chance to experience the rich northern African culture. While in towns before and after trips, rafters will get to explore souks and busy marketplaces, taste delicious food and local wine, and marvel at brightly colored tapestries. 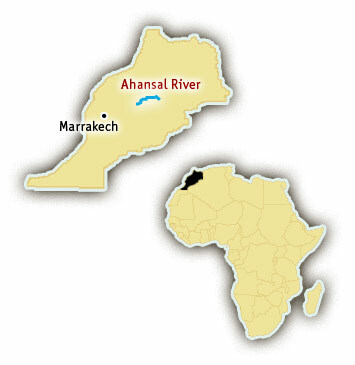 Ahansal River Rafting Trips (Class III-V): A multi-day trip in the Atlas Mountains with stunning scenery, crystal clear water, and exciting rapids. Additionally, this trip is a phenomenal cultural experience as groups get to experience wonderful villages to and from the river.